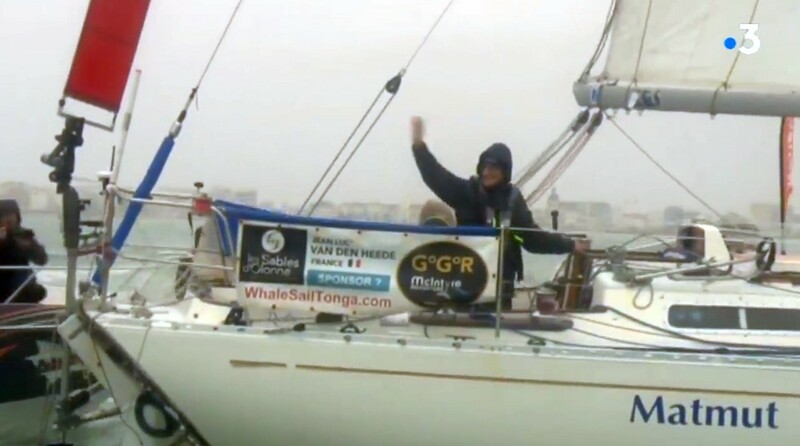 Jean-Luc Van Den Heede, finished the Golden Globe Race at Les Sables d’Olonne after 211 days 23 hours and 40 minutes at sea. The 73-Year-old french skipper Van Den Heede completed the 28,175 NM round the world race on 29 January 2019 at 09:40 UTC. As he crossed the finish, Van Den Heede was some 363 NM ahead of Dutchman Mark Slats, who will finish in second place. Updates to follow . . .